The DAC section is equipped with independent balanced and unbalanced line outputs that can drive power amplifiers directly, avoiding the need for a separate preamplifier. The Headphone DAC features a custom designed headphone amplifier that works extremely well with both high and low impedance headphones in balanced or unbalanced formats. All of the outputs can be set to one of 4 maximum levels to enhance system compatibility. Designed for flexibility and ease of use without compromise, Bartók uses the very latest dCS Digital Processing Platform and Ring DAC™ technology, originally developed for the Rossini series. Its single FPGA offers streamlined signal processing and superior flexibility, effectively making it future-proof. Bartók DAC has a powerful new user interface, plus a custom control app that lets listeners manage their music playback from any source in an elegantly simple way – accessing iRadio channels, digital and UPnP sources all from one control point. The Bartók app provides easy access to the DAC settings. Featuring DXD upsampling as standard, the multi-stage oversampling design offers optional DSD upsampling plus an extensive selection of DSP filters to suit individual taste and music choice. The network streaming functionality within Bartók is proven in terms of jitter, ease of use and sonic performance. 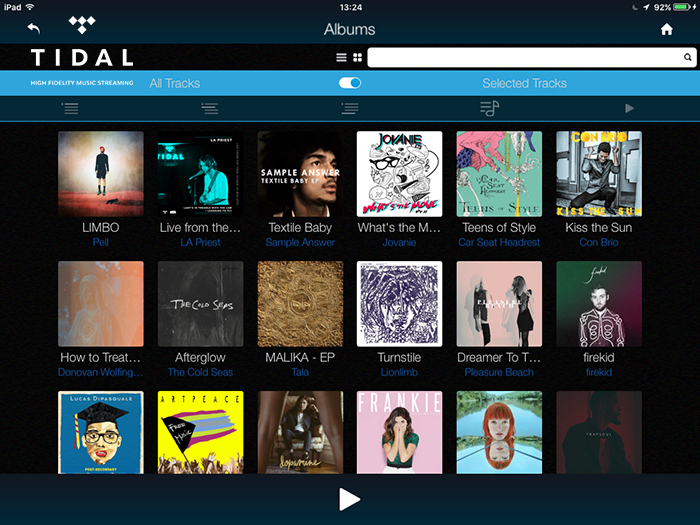 The network interface currently runs at up to 24-bit, 384kS/s and DSD128, supporting all major lossless codecs, plus DSD in DoP format and native DSD. Bartók supports the simple yet highly effective dCS ‘auto clocking’ architecture as used in Vivaldi, which minimises jitter and improves sound quality significantly. Designed and made in Great Britain to the highest standards, Bartók takes its design cues from the award winning Rossini range, using aerospace-grade machined aluminium with internal acoustic damping panels to reduce sound-degrading mechanical vibration and magnetic effects. Multi-stage power regulation is employed, with twin mains transformers to isolate the DAC circuitry from the headphone amplifier. As with all dCS products, Bartók firmware can be easily updated via CD, USB or the new automated download and update facility. This lets dCS add new features and improve the performance of Bartok over its lifetime. Listening to digital music through a Bartók system is in some ways a staggering experience. The general hallmarks of dCS playback – precision, detail, immersive and engaging sound are all there along with a natural musicality and faithfulness to the original recording. Latest generation dCS Digital Processing Platform brings state-of-the-art signal processing and flexibility. dCS Ring DACTM fitted, as used in the flagship dCS Vivaldi digital playback system. 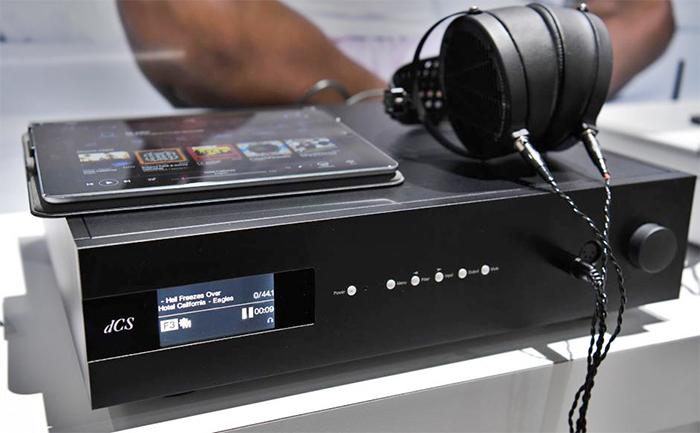 Digital inputs support UPnP, asynchronous USB and Apple Airplay sources, plus AES and S/PDIF digital audio streams. Headphone amplifier with balanced and unbalanced outputs, suitable for high and low impedance headphones. Multi-stage DXD oversampling design with switchable DSD upsampling; user-selectable PCM and DSD filters. Auto clocking system improves ease of use and minimises jitter. Multi-stage power regulation and twin mains transformers to isolate the DAC section from the headphone amplifier. Firmware-upgradeable for future functionality and performance upgrades. Analogue Outputs: Output levels: 0.2, 0.6, 2 or 6V rms for full-scale input, set in the menu. Balanced outputs: 1 stereo pair on 2x 3-pin XLR male connectors. These outputs are electronically balanced and floating. Output impedance is 3Ω, maximum load is 600Ω (10k-100kΩ is recommended). Unbalanced outputs: 1 stereo pair on 2x RCA phono connectors. Output impedance is 52Ω, maximum load is 600Ω (10k-100kΩ is recommended). Headphone Outputs 1 stereo balanced pair on 1x 4-way male XLR connector. 1 stereo unbalanced pair on 1x 6.35mm (1/4”) 3-pole jack. Full-scale output levels are 1.4W rms into 33Ω, 0.15W rms into 300Ω. Output levels are 0, -10, -20, -30dB, set in the menu. Minimum headphone impedance is 33Ω. Word Clock I/O: 2x Word Clock Inputs on 2x BNC connectors, accept standard word clock at 44.1, 48, 88.2, 96, 176.4 or 192kHz. The data rate can be the same as the clock rate or an exact multiple of the clock rate. Sensitive to TTL levels. Word Clock Output on 1x BNC connector. In Master mode, a TTL-compatible word clock appears on this output. Residual Noise: 24-bit data: Better than –113dB0, 20Hz - 20kHz unweighted. Filters: PCM mode: up to 6 filters give different trade-offs between the Nyquist image rejection and the phase response. DSD mode: 4 filters progressively reduce out-of-audio band noise level. Local Control: dCS Bartók app for unit configuration and playback. RS232 interface (controlled by a 3rd party automation system). dCS Universal IR remote control is available as an optional extra. Power Supply: Factory set to either 100, 115/120, 220 or 230/240V AC, 49-62Hz. Power Consumption: 30 Watts typical / 50 Watts maximum. Dimensions: 444mm / 17.5” x 430mm / 17.0” x 115mm / 4.6“.